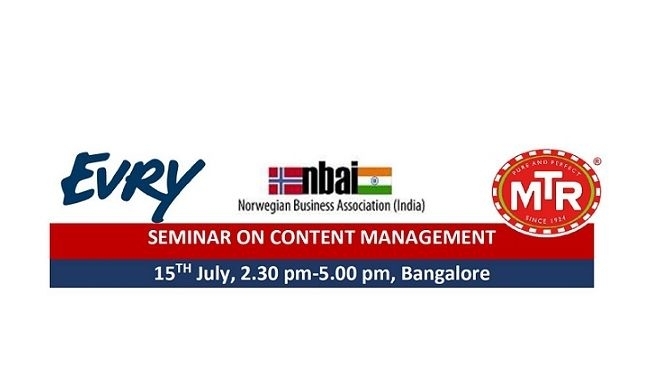 The Norwegian Business Association India in collaboration with MTR Foods and EVRY India invites you to a seminar on content management. Join us for a stimulating and thought-provoking session on exchange on ideas, techniques and experiences with industry experts. This will be followed by a High Tea. RSVP latest by 12th, July, 2016.